The incidence of pneumonia rose with initiation of LABA-ICS, which was similar across all eosinophil concentrations. Blood eosinophil concentrations could be used to target patients with chronic obstructive pulmonary disease (COPD) who are likely to respond to initial long-acting bronchodilator therapy. This, in turn, may help clinicians decide between treatment initiation with either long-acting muscarinic antagonists (LAMAs) or long-acting β2 antagonists plus inhaled corticosteroid (LABA-ICS) inhalers in these patients. Results of this analysis were published in the Lancet Respiratory Medicine. Investigators sought to compare the safety and effectiveness of treatment initiation with LAMAs vs LABA-ICS as a function of blood eosinophilia, a potential biomarker of ICS effectiveness, in a real-world setting. The participants were all ≥55 years of age and were from the United Kingdom’s Clinical Practice Research Datalink. Patients initiating a LAMA were matched on high-dimensional propensity scores with patients initiating a LABA-ICS. All participants were followed for 1 year for the occurrence of a moderate or severe COPD exacerbation, or for severe pneumonia. The base cohort included a total of 539,643 patients with a prescription for a LABA-ICS or LAMA between January 1, 2002, and December 31, 2015. Among these individuals, 18,500 initiated treatment with LABA-ICS and 13,870 with LAMAs. The hazard ratio (HR) of a COPD exacerbation associated with initiation of LABA-ICS compared with the initiation of LAMAs was 0.95 (95% CI, 0.90-1.01). In participants with blood eosinophil levels <2% of the white blood cell (WBC) count, the HR was 1.03 (95% CI, 0.93-1.13). 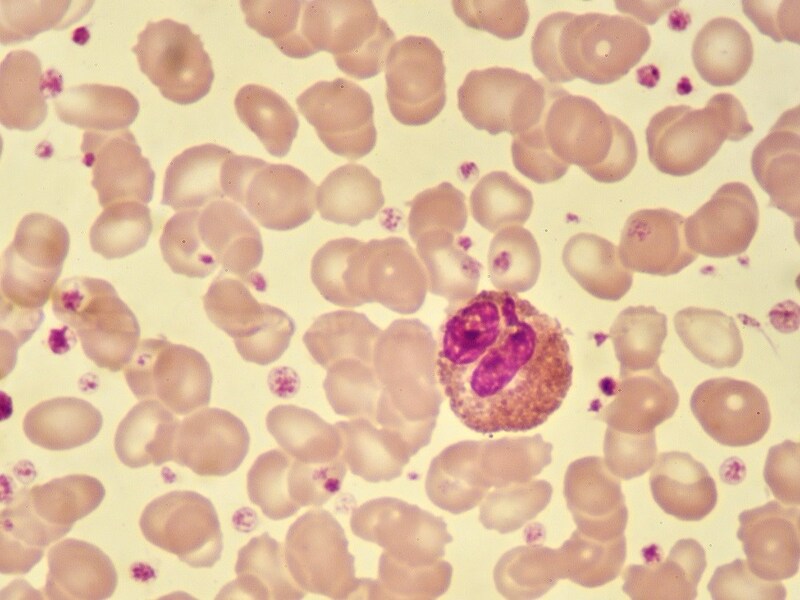 In patients with eosinophil levels 2% to 4% of the WBC, the HR was 1.00 (95% CI, 0.91-1.10). In those with eosinophil levels >4% of the WBC, the HR was 0.79 (95% CI, 0.70-0.88). The incidence of pneumonia rose with initiation of LABA-ICS (HR, 1.37; 95% CI, 1.17- 1.60), which was similar across all eosinophil concentrations. Moreover, the incidence of COPD exacerbation with LABA-ICS in the 11% (2766 of 24,732) of participants with ≥2 exacerbations in the baseline year was slightly lower (HR, 0.87; 95% CI, 0.79-0.97). The investigators concluded that in the current study, initial COPD treatment with LABA-ICS inhalers was more effective than that with LAMAs only in patients with high blood eosinophil levels (ie, >4%) or WBC counts (>300 cells/µL), and possibly in patients with frequent exacerbations. Based on the increased risk for pneumonia associated with the ICS component of LABA-ICS treatment, initiation of a LAMA is preferred in patients with blood eosinophil levels <4%. Suissa S, Dell’Aniello S, Ernst P. Comparative effectiveness of LABA-ICS versus LAMA as initial treatment in COPD targeted by blood eosinophils: a population-based cohort study. Lancet Respir Med. 2018;6 (11):855-862.